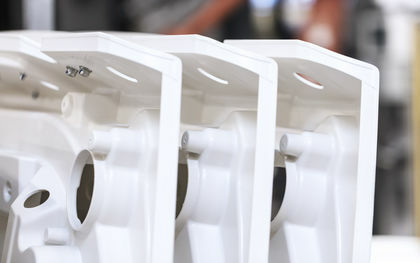 Fritzmeier Composite is a technology leader and system supplier for composites. We develop and manufacture roofs, wind deflectors, rear hatches, structural components, bonnets and roof stowage units. We make components with various matrix systems and reinforcing fibres using our core technologies SMC, RTM, LFI, WPM, CSM and SRM. From the first draft concept, to fully automated component production, to sequential delivery, we are your dependable partner. Our long-established customers know that they can trust our technical expertise, quality and delivery performance. Our family-owned company structure ensures maximum flexibility along with social security for our employees.